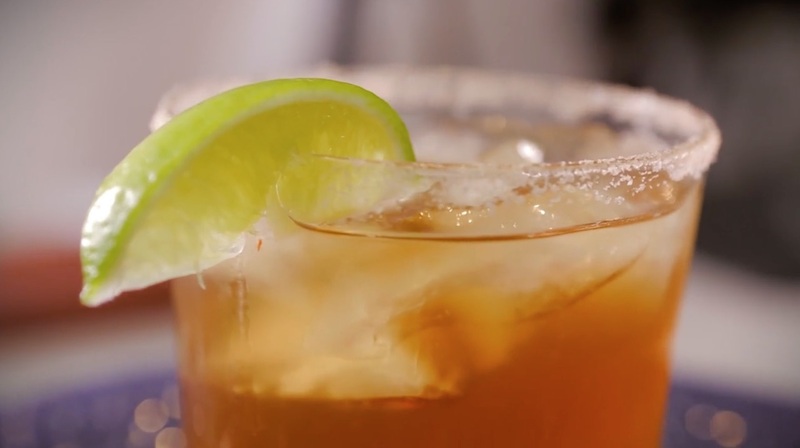 Half rim your glass with brown sugar and dip into sriracha salt. Add ice to mixer in, shake vigorously and strain over fresh ice. Can also be served up in a martini glass.